“ Both of us deserved to win ,but I succeeded and I am proud of my result. 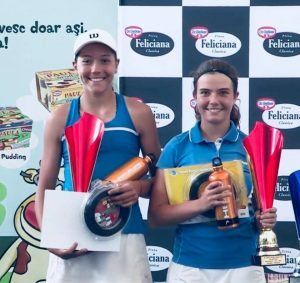 I would like to thank my coach , my colleagues ,my partner from the doubles ( together we managed to win the trophy ) and my family for the support. 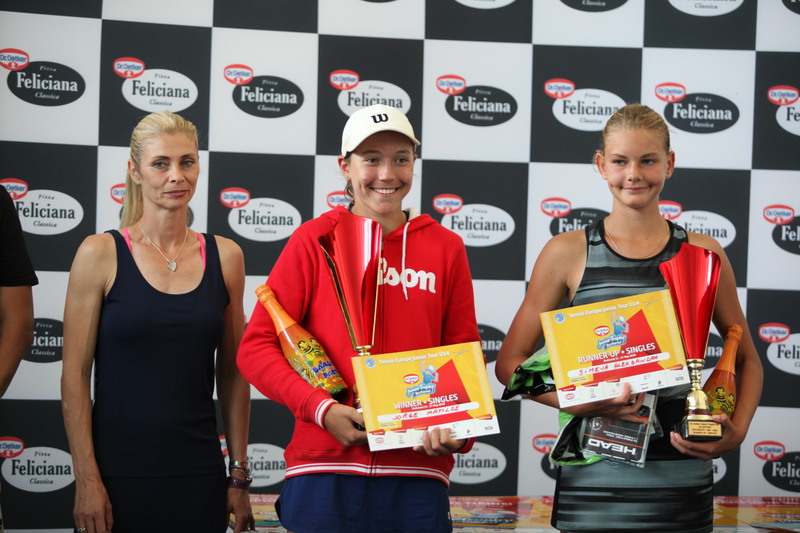 We had a wonderful experience here at Dr. Oetker Junior Trophy! “ – declared Matilde Jorge . 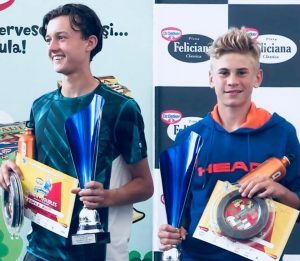 Filip Pieczonka ( Poland) won the final for boys at the seventh edition of Dr. Oetker Junior Trophy , after the withdrawal of Constantinos Koshis ( Cyprus) ,with the score of 6-3 ,1-6 ,4-1 . 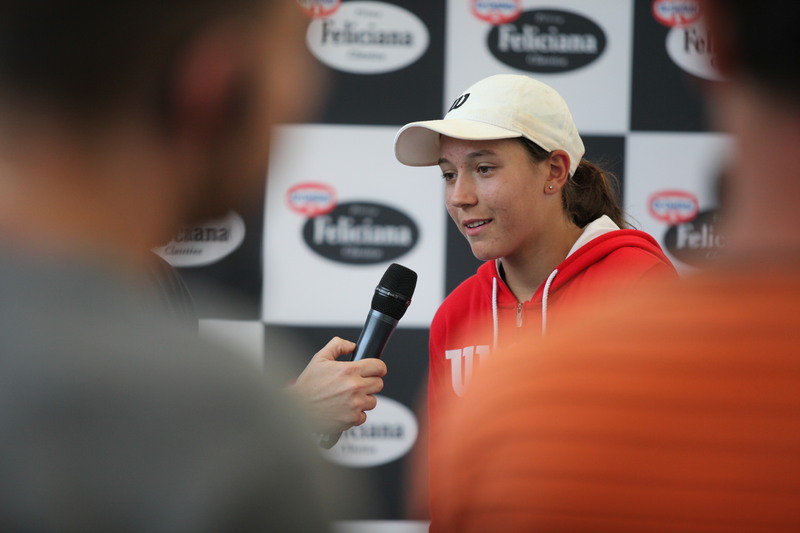 “ It was hard ,I had to focus all the time. This year was incredible for me. I won 3 titles , among which was the one I won at the doubles. I feel extraordinary. I want to thank my father for training me , my family ,my brothers and the rest of the people who worked hard for and with me. 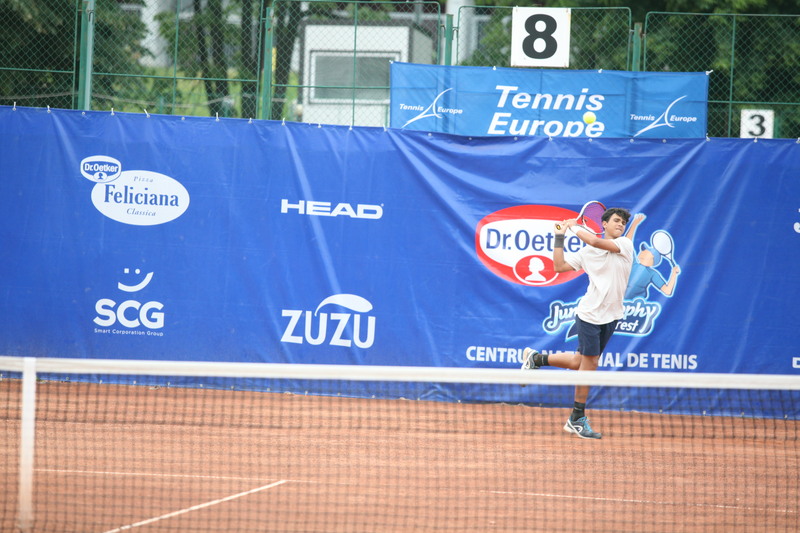 Thank you for this wonderful week , which I had here at Dr. Oetker Junior Trophy “ – said Filip Pieczonka. 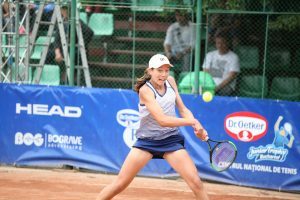 The Romanian athletes had entered in the double finals of the tournament ,(both for girls and boys, ) here at Dr. Oetker Junior Trophy. 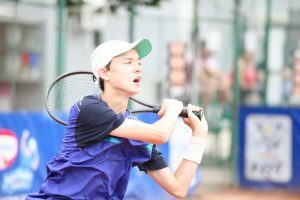 Thus , the final for boys was won by the pair from Poland composed by Olaf eczkowski and Filip Peczonka ,which won with the score of 6-3 ,6-3 . The Romanian double was formed by Mihai Alexandru Coman and David Manu. 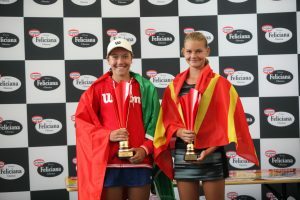 The trophy for girls was won by the pair from Portugal composed by Mafalda Guedes and Matilda Jorge ,which won with the score 7-6 (4) ,6-4 . 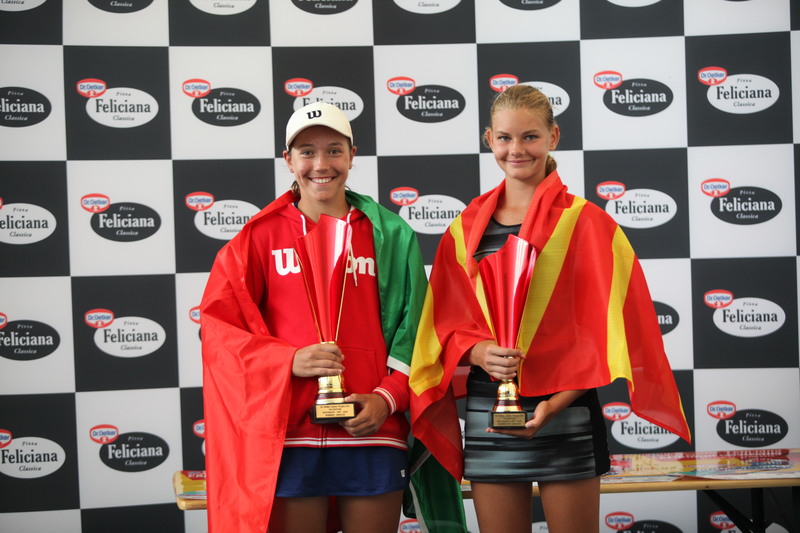 The pair representing Romania was formed by Maria Sara Popa and Ioana Zvoreanu. 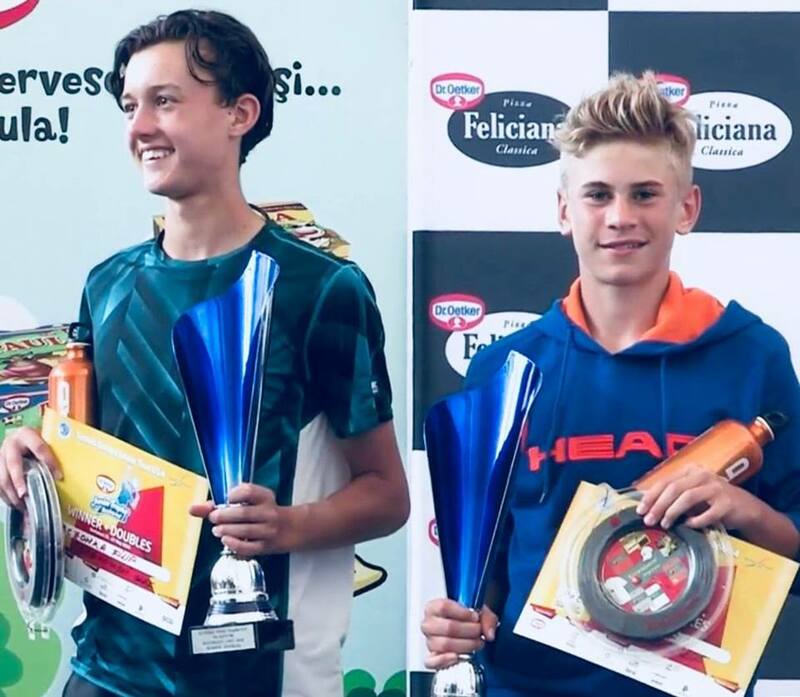 The prize awards and matches can be viewed live on our Facebook page : https://www.facebook.com/TennisStarsOne . 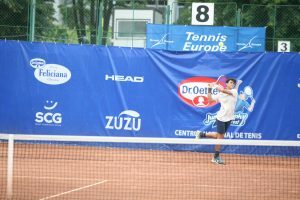 At the international competition within Tennis Europe, cat. 1. , which took place during this week at the Tennis National Centre in Bucharest, competed 156 athletes from 26 different countries. 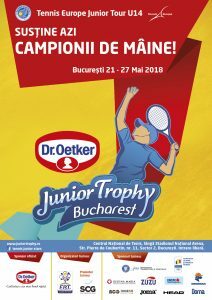 On the following sites you can find additional information and updated news : www.frt.ro , www.juniortrophy.ro .Also,you can find us on Facebook at : https://www.facebook.com/TennisStarsOne . The official sponsor of the tour) organized by the Romanian Federation of Tennis) is Dr. Oetker Romania. 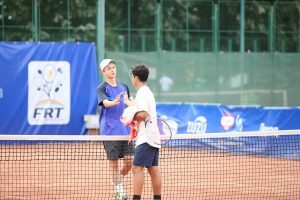 The promoter of the event was SCG- Smart Corporation Group. « Romanian players in the double finals of the Dr. Oetker Junior Trophy tournament, both for boys and girls.